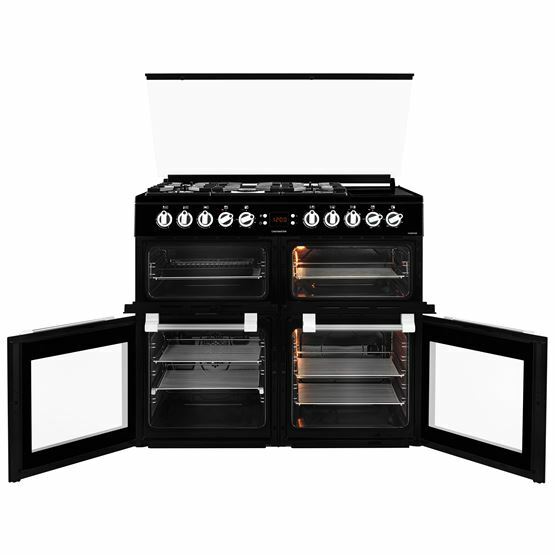 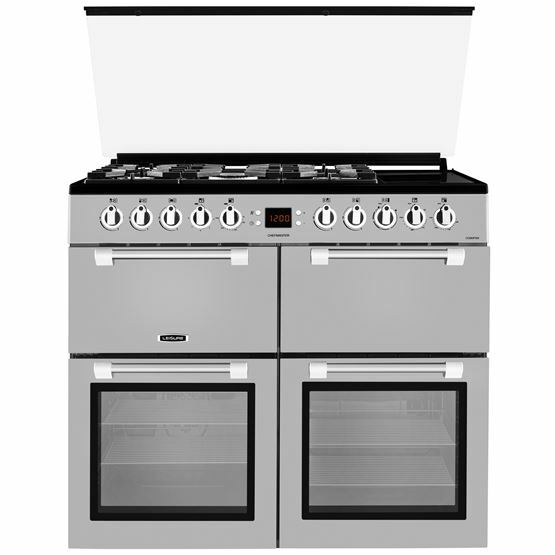 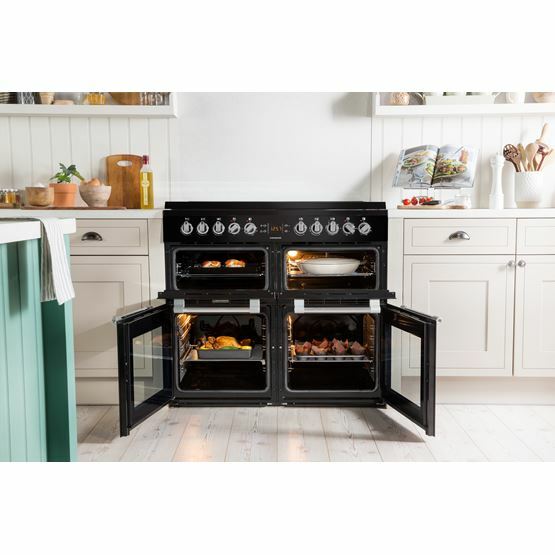 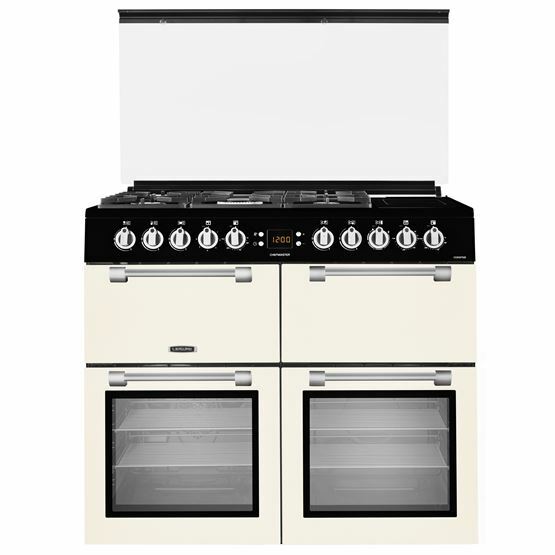 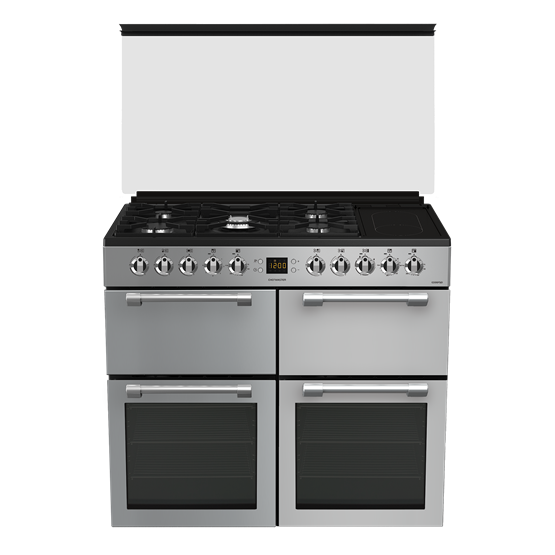 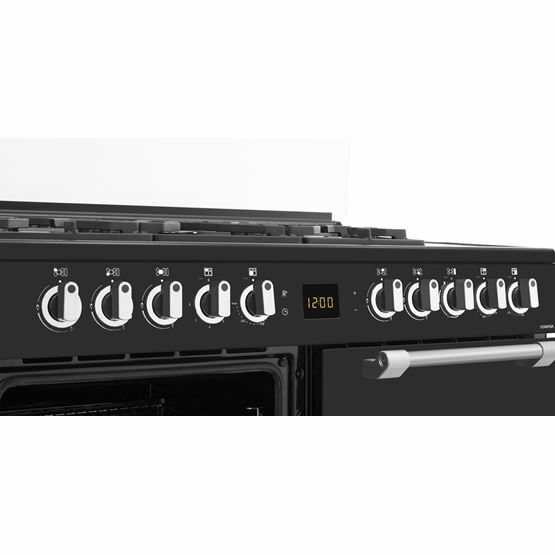 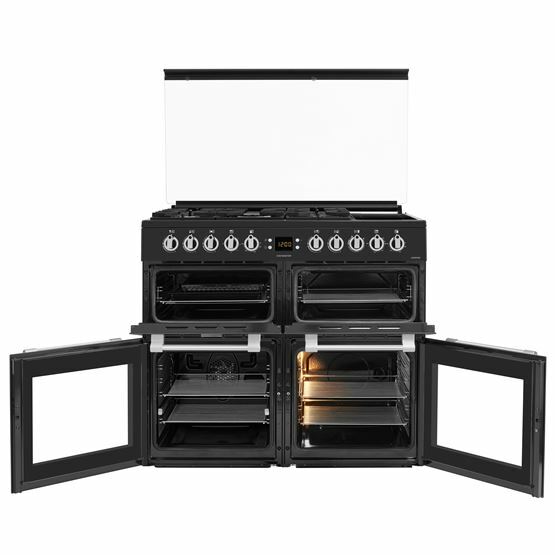 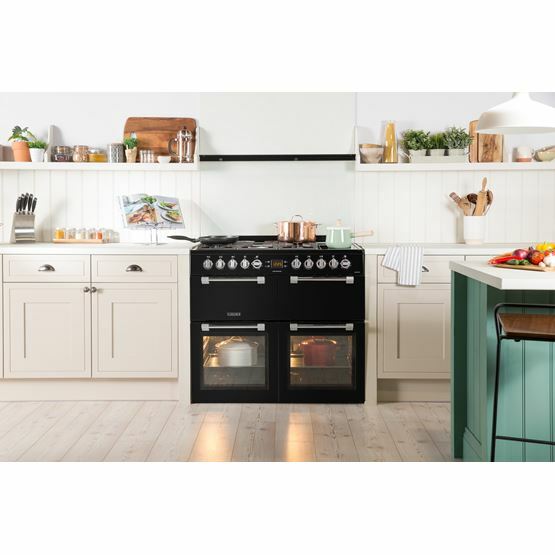 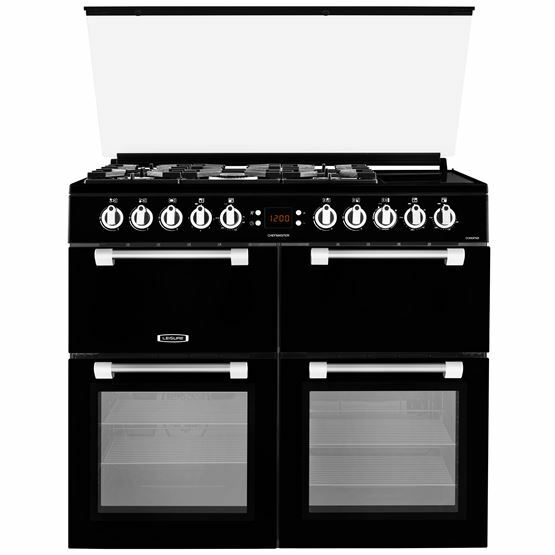 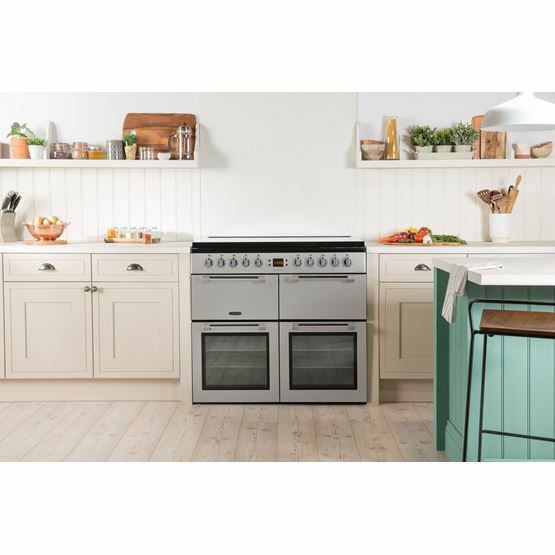 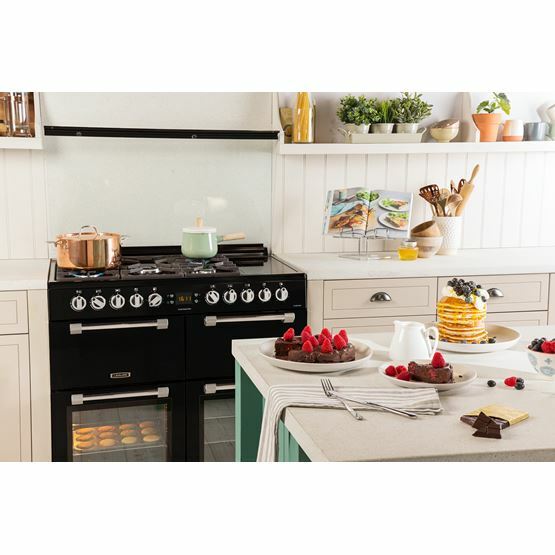 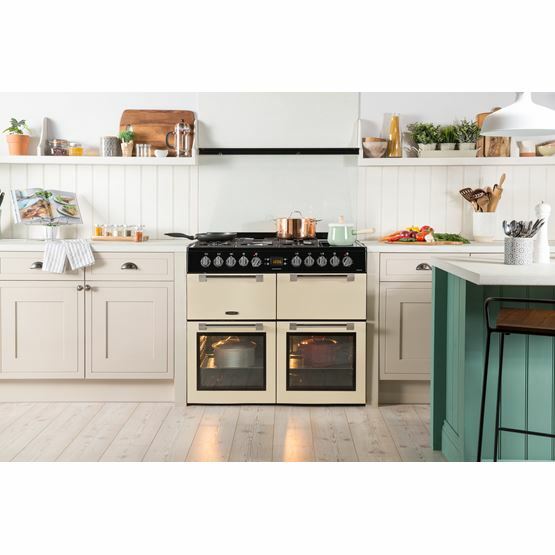 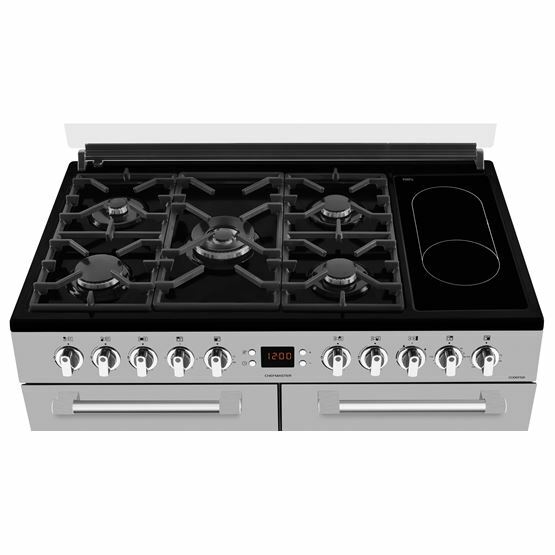 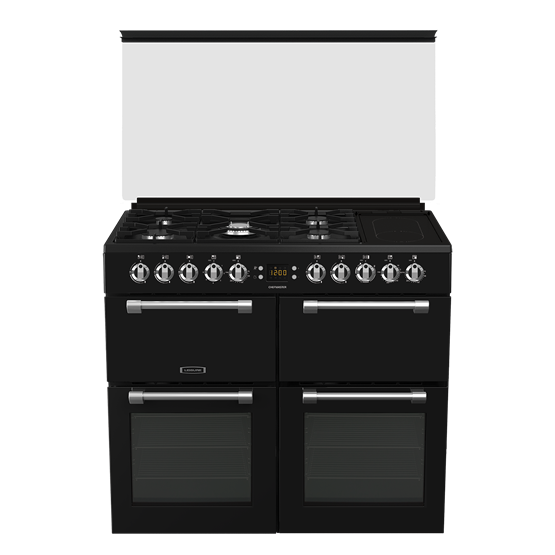 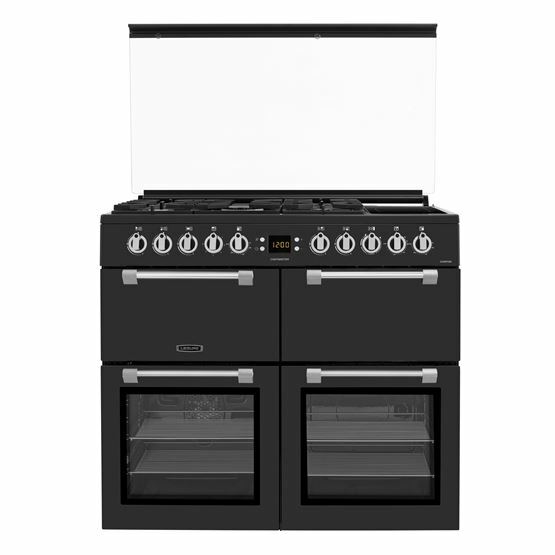 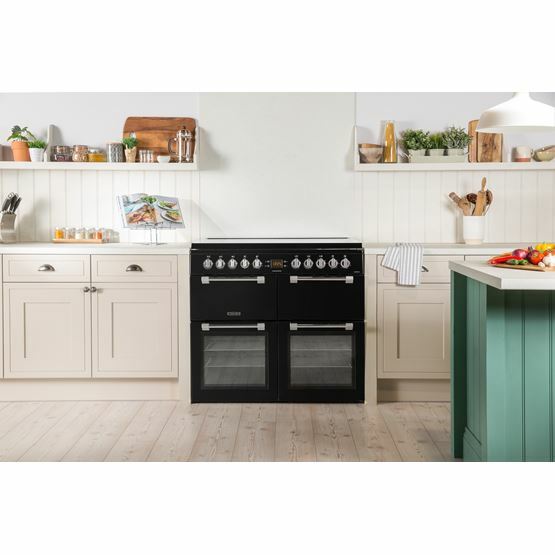 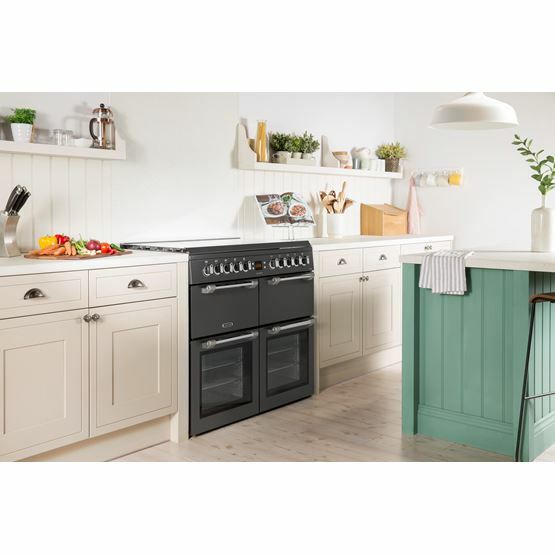 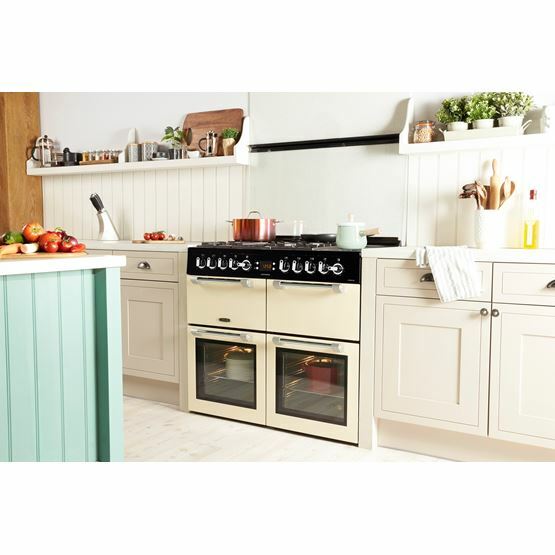 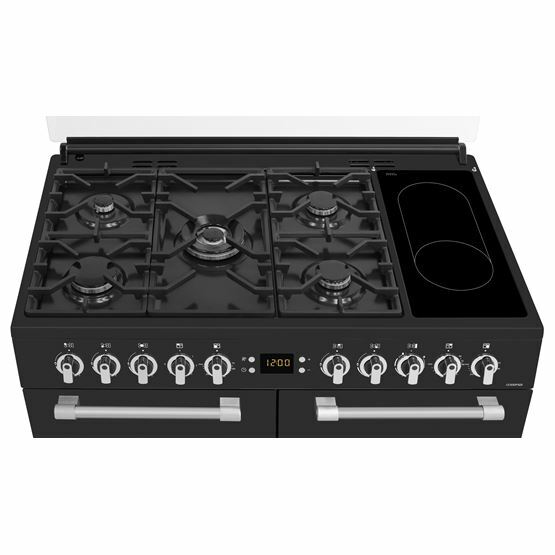 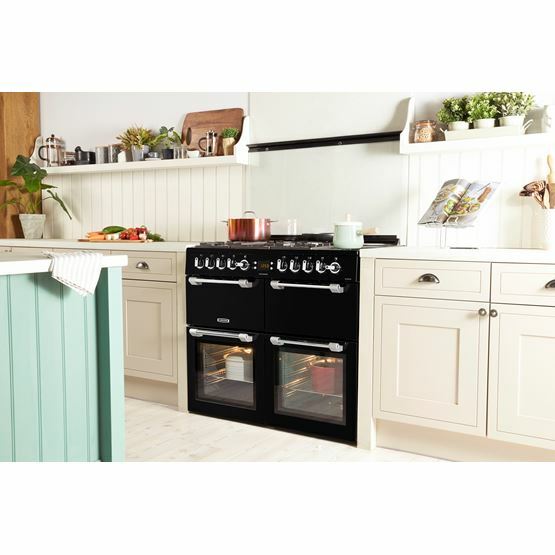 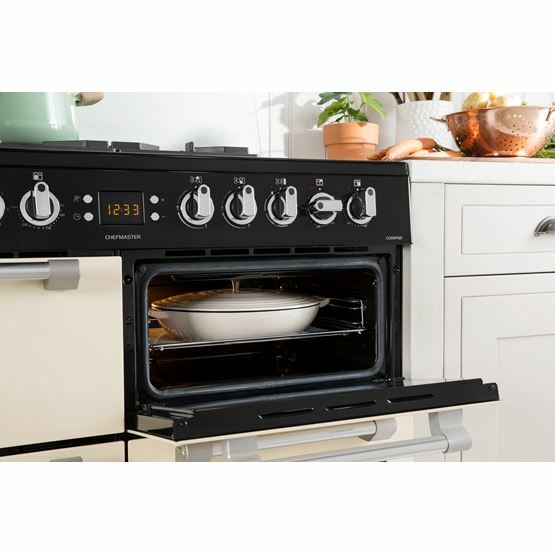 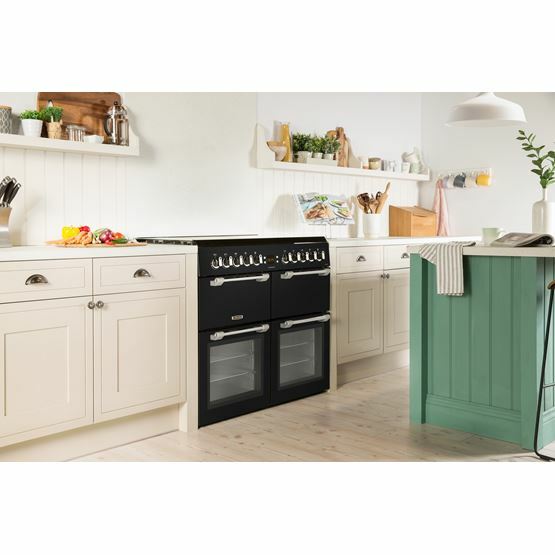 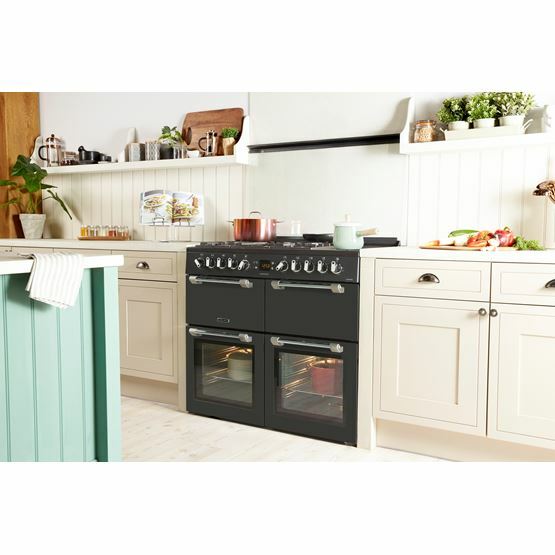 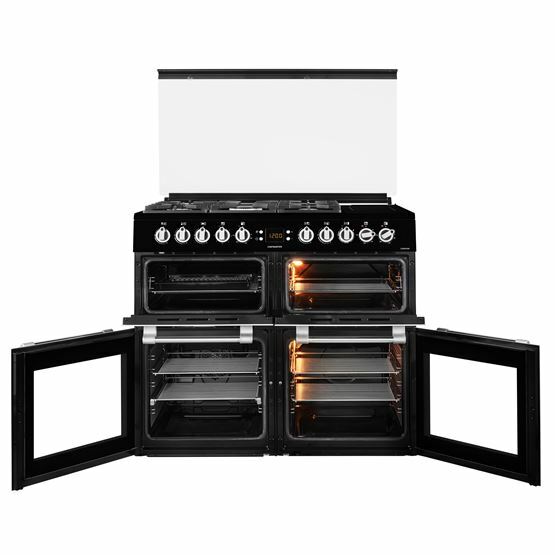 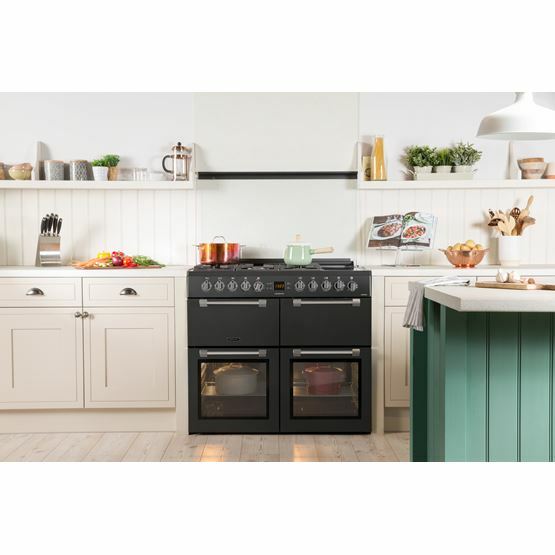 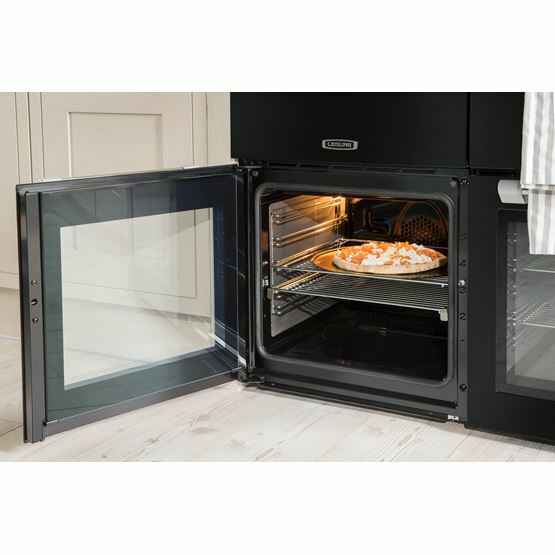 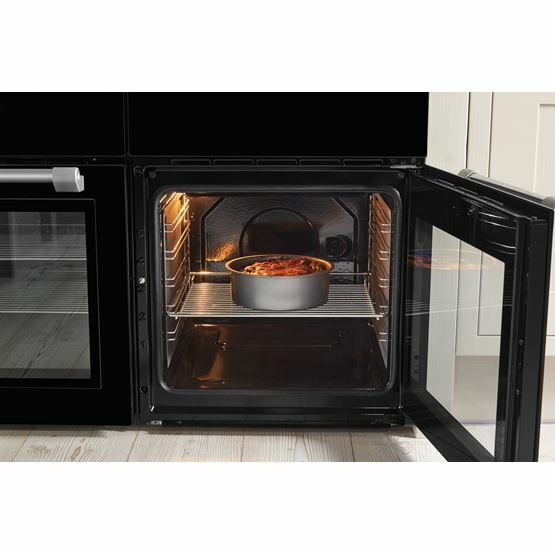 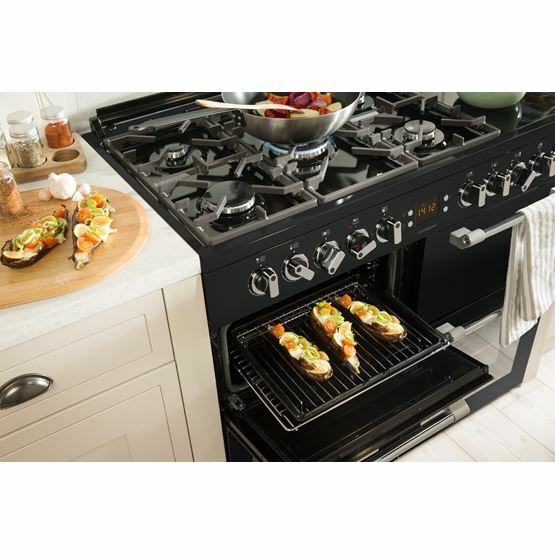 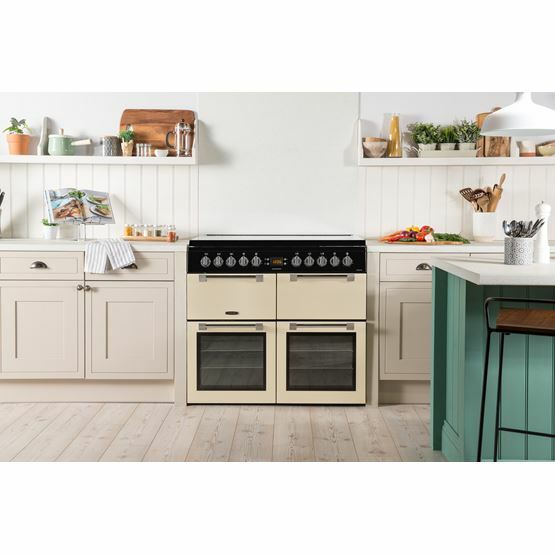 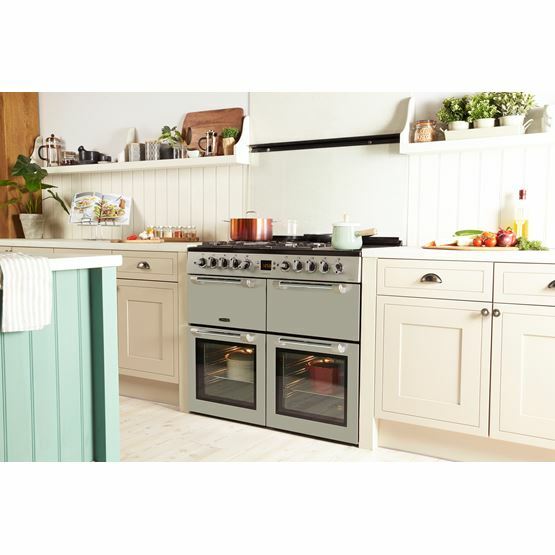 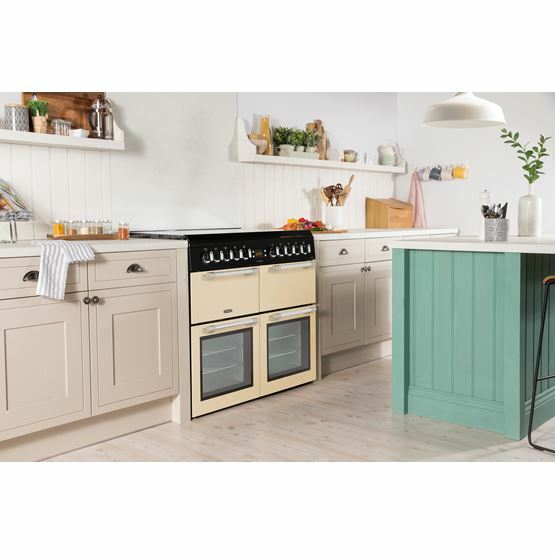 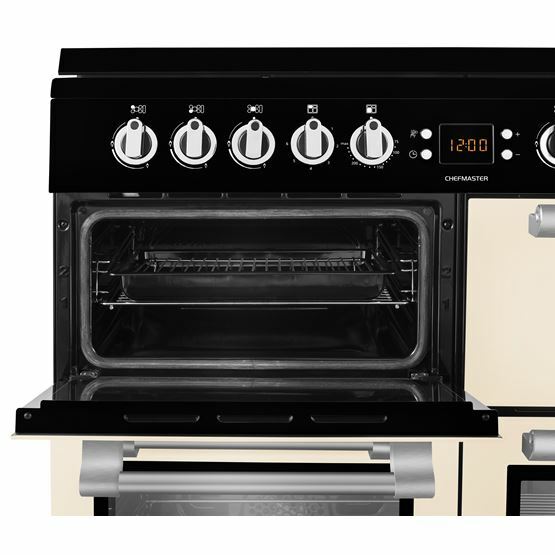 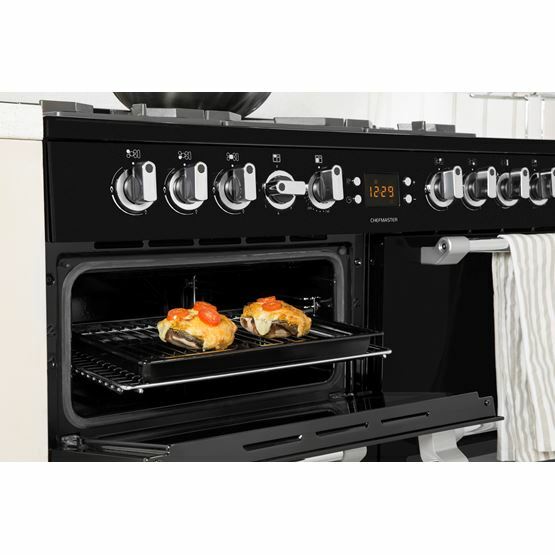 Tastefully blending traditional range cooker styling with a rich array of innovative features, this Chefmaster range cooker provides plenty of space for you to cook up a feast, with three ovens and a dedicated grill to experiment with. 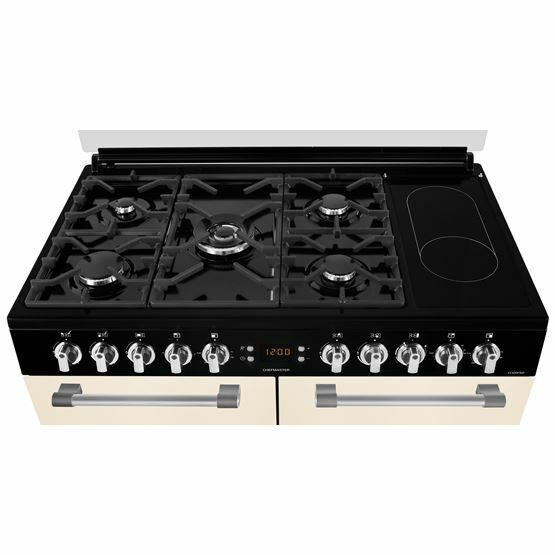 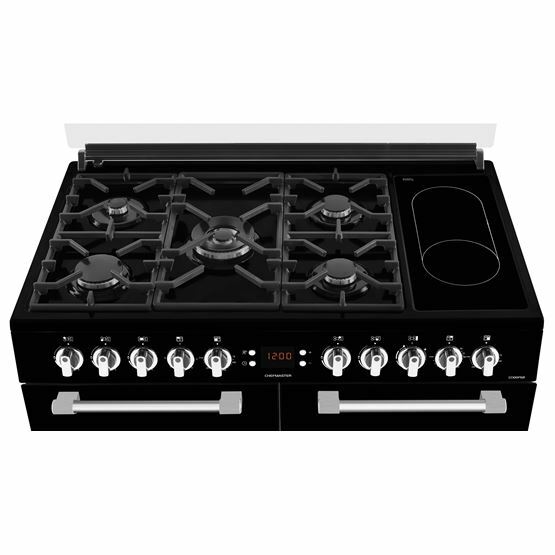 Its five-burner gas hob is complemented by an extended ceramic zone and powerful wok burner – perfect for whipping up tasty stir-fries. 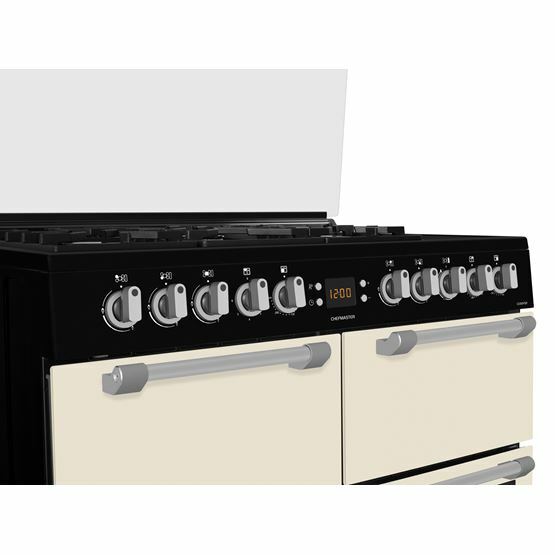 The stylish integrated glass cover can be used as a splashback to keep your kitchen clean, or can be closed to create a seamless look. 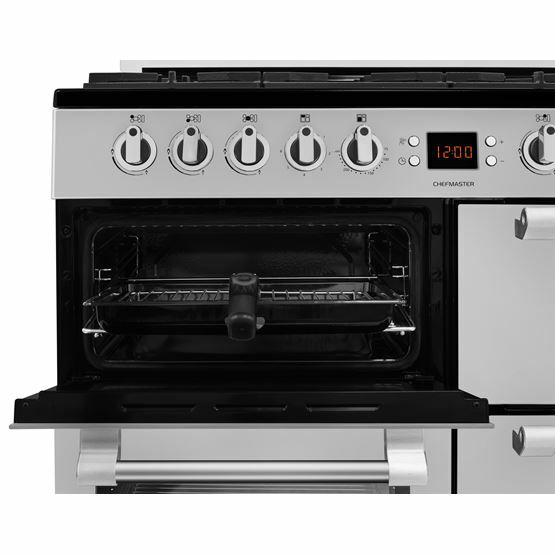 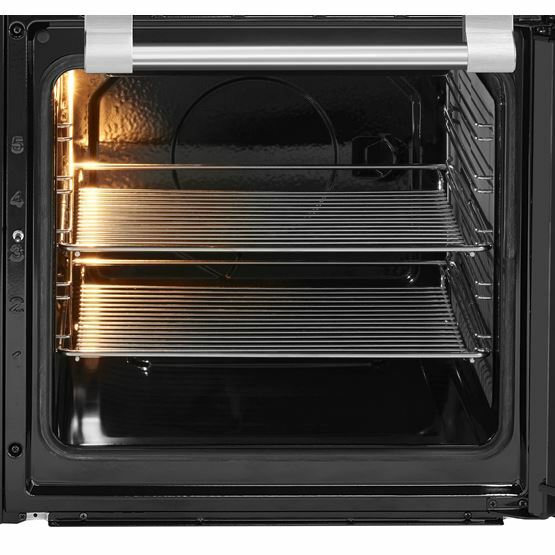 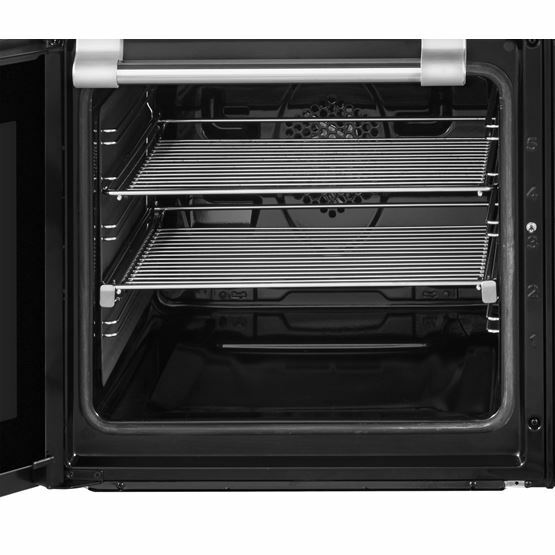 With three separate ovens and a dedicated grill the Chefmaster boasts a range of cooking functions including slow cooking, static cooking and fan cooking, ensuring that you can cook a variety of dishes at any given time. 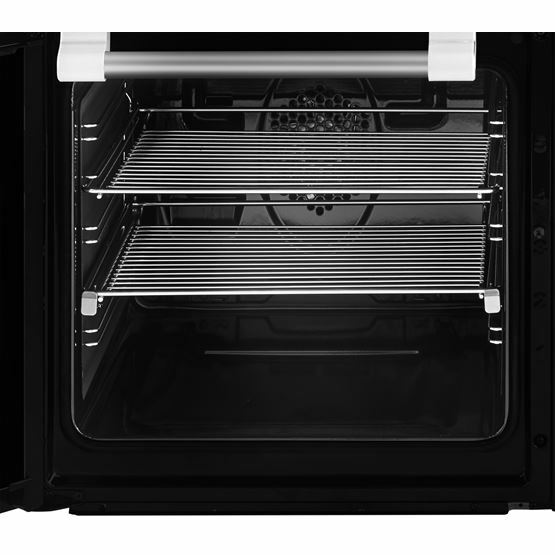 Checking up on your food can be smooth and simple, thanks to our telescopic oven shelf that supports itself without being held. 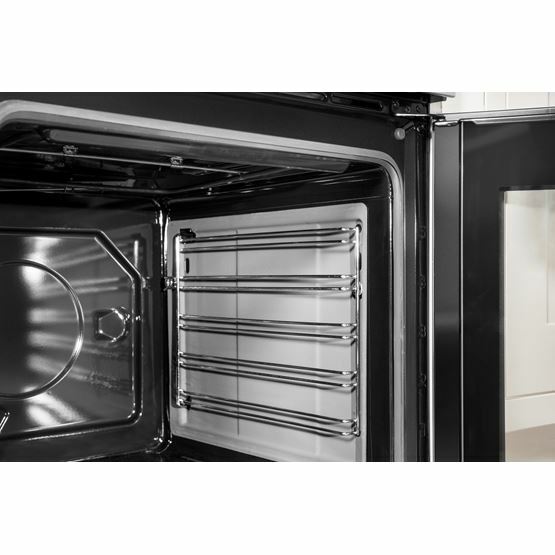 Perfect for when you need to skewer test your toffee sponge cake, the sliding shelf can also be used when adding those final touches to food before it enters the oven. 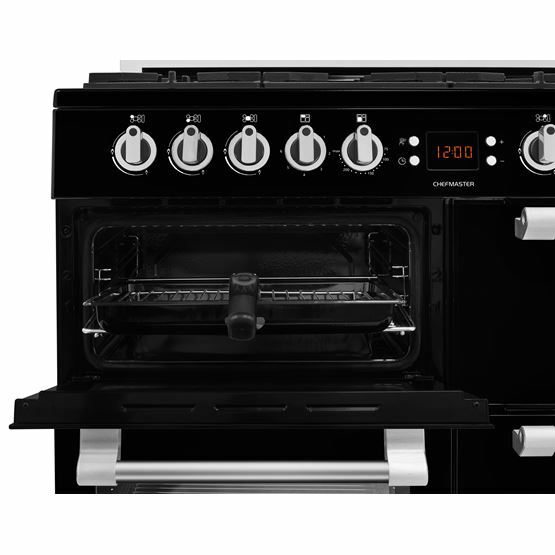 Good Points: I like that it has a glass top not many range cookers do anymore. 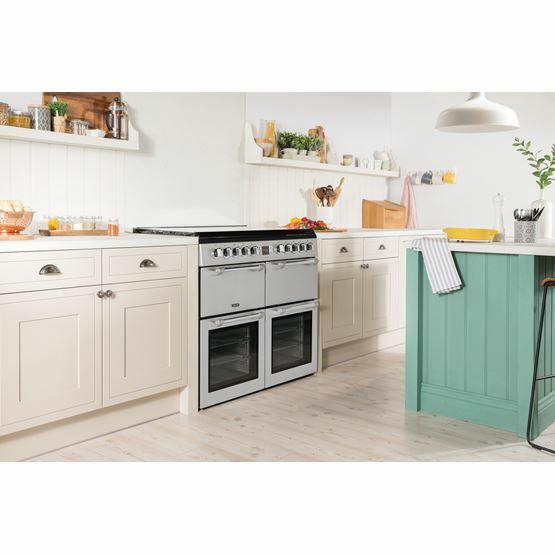 I like the colour too looks smart. 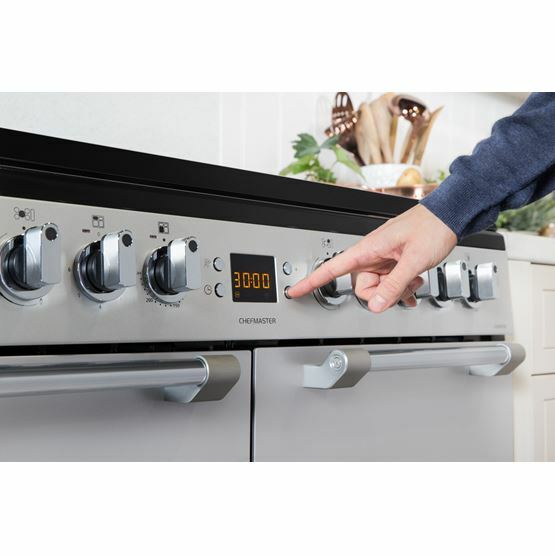 Bad Points: Very slow to heat. 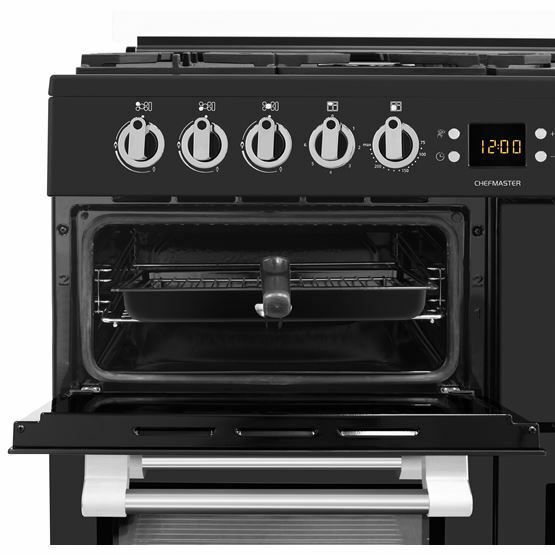 Fan takes ages to start working and then whirs for ages after it has been turned off. 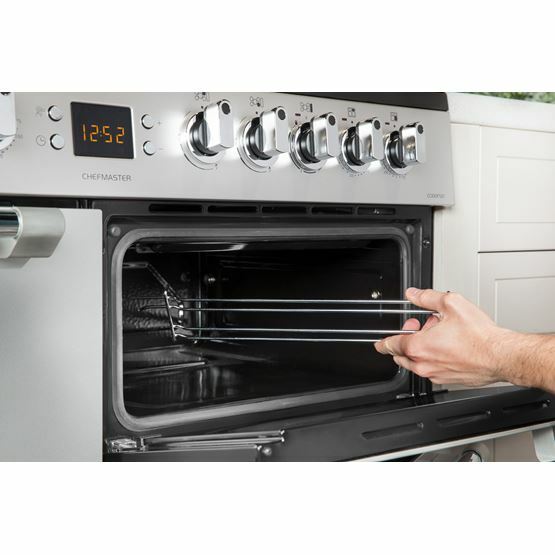 Grill handle very awkward and hard to use. 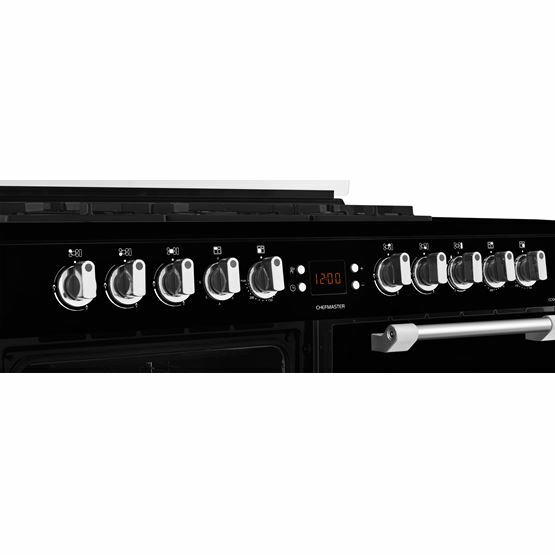 Middle ring never worked, and when hob rings turned to low tend to go out. 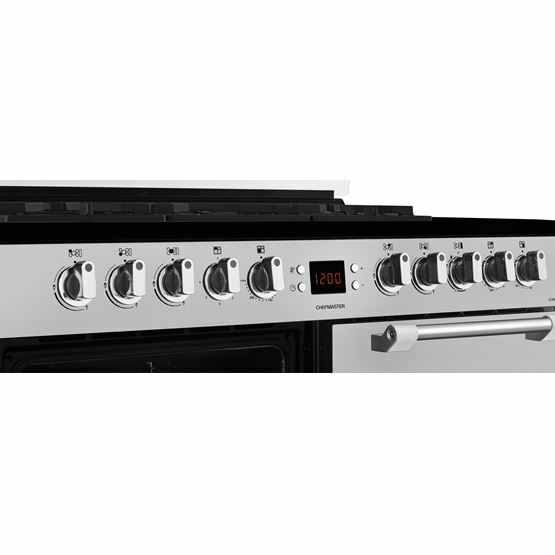 Really not very impressed.